WordPress like any other web applications is subjected to possible disasters. Keeping your WordPress database data backup saves you from disasters that are of accidental nature or the once that occur due to technical faults. 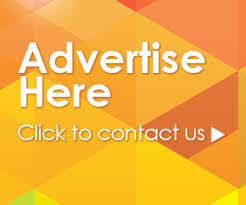 Webmaster is the person who solely holds the responsibility for backing up their website or websites. Regularly backing up your data ensures that you do not lose data or if there is any tempering of data you suffer least data damage. There are two things that you need to take in account when you think of backing up your WordPress data. First, what to back up i.e. backing up database and file and second when to back up. WordPress powered websites can be backed up both manually and by using plug-ins. We will discuss both back-up options one by one. 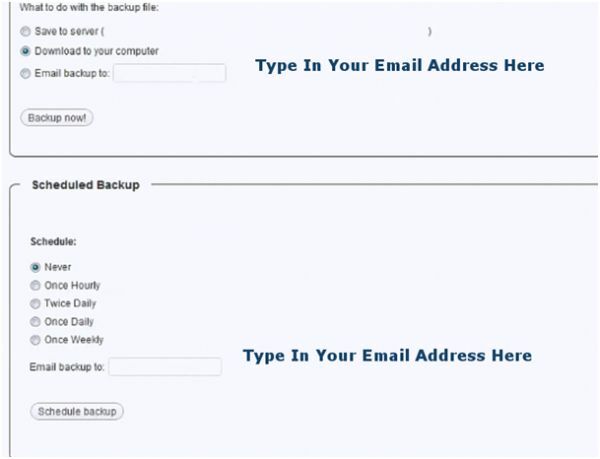 •	Most of the reliable web hosts facilitate webmasters with backup tools the first one is called the backup wizard it is a simple one click back-up database tool, the second tool that most of the web host providers provide is PHP My Admin a interface you can use for backing up your database. •	You can download a copy of your WordPress files using FTP client like Filezilla or through UNIX Shell. •	You can create a mirror copy of your WordPress files using WinSCP. Taking a backup of your WordPress database is essential, especially when you are upgrading to a new version or when you are moving your WordPress website from one physical location to another. 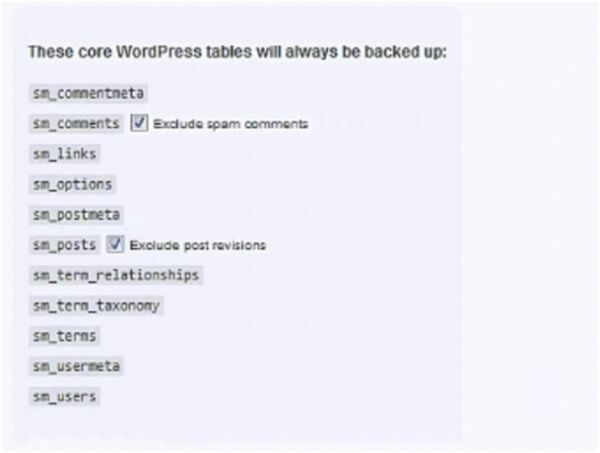 •	To backup your WordPress database you need be familiar with PHP My Admin. Follow the steps below to back up your database manually. 1. On the control panel (provided by your webhost) look for database manager and choose MySQL database. 2. After choosing MySQL database log look around for Around for PHP My Admin, it can be found under browse database. 3. After Clicking on Browse Database you will come across following screen. 4. 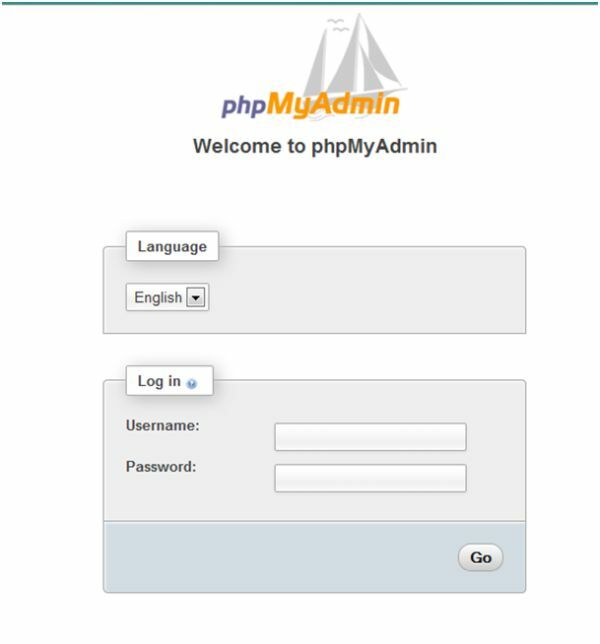 Type in your username and password to login into your PHP My Admin panel. Choose your database name from options as listed in screen below. 5. 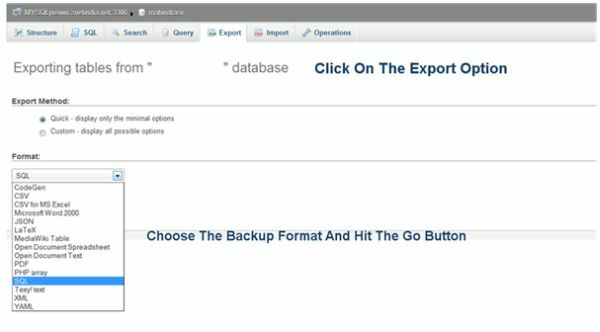 After choosing you database look for export option as shown in screen below to back up your database. This will back up your database. Using a plug-in for backing up your WordPress database is a speedy way for performing the backup task. 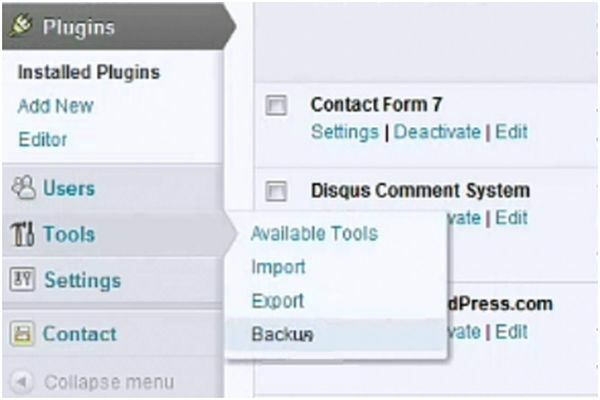 •	To back-up your files using plugin follow the screen options below. Firstly go to add plugin options type in the name of the plugin in the search box. After searching the plugin click on install for installing the plugin. Once the plugin is installed click on activate plugin to use it. For Convention sake we have used WP-DB-Backup Plugin though there are dozens plug-ins out there on the web. •	Once the plugin is installed it will appear under tools as shown in screen option below. •	The plug-in allows you to backup all your database files. It will send a copy of your database to you via email and it will also leaves a backup copy of your database at your web server. Refer to screen options shown below. •	Top five WordPress database backup plugins. Being a webmaster securing website is your top most priority, by following the steps mentioned above you can all be on safe and sure side.